Our Snorkeling Tours are suitable for all ages. 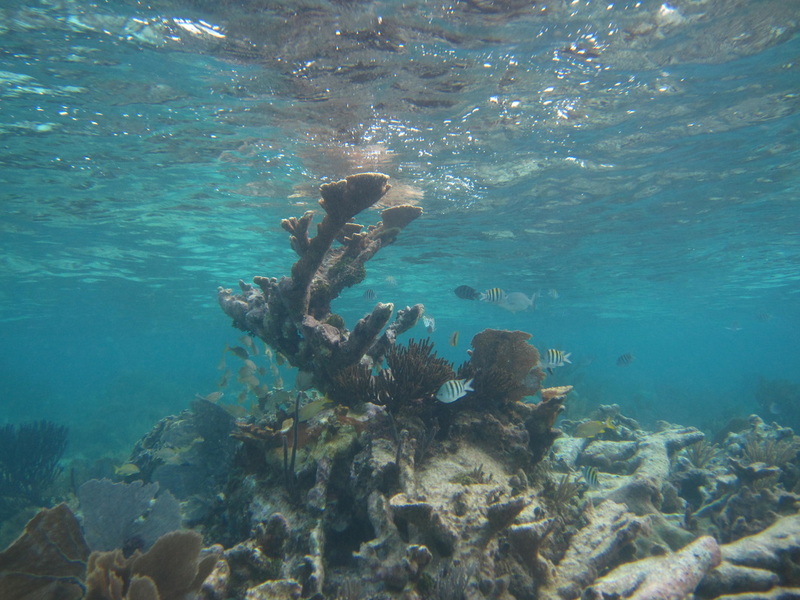 Coral reef snorkeling in Puerto Morelos takes you to the Mesoamerican Barrier Reef, the second largest barrier reef in the wold. Our sites are shallow, allowing snorkelers to experience the beauty of the reef that is still in excellent shape with lots of life. Snorkeling in Cenotes is a mystical experience. You are swimming in the aquifer. 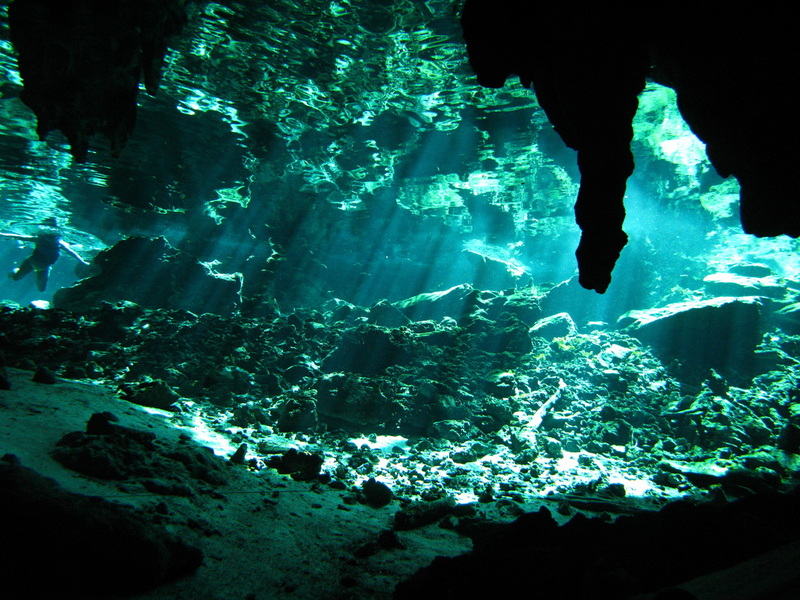 The Maya culture held the Cenotes as a integral and sacred part of their daily life and ritual. We specialize in snorkeling instruction for young children. We have fins, masks, snorkels and even wet suits for as young as two years old. For larger groups(4 or more), we can do 10-2pm to a local Cenote. Options for smaller groups-tour is 8-3, joining other divers. Both tours include full equipment rental, transportation from the dive shop and back, entrance fees, and a hearty sack lunch/beverages. This underwater museum was created off the shores of Cancun to lessen the impact of reef destruction from novice divers. It created an area of habitat in an otherwise sandy uninhabited sea bottom. tours include full equipment rental, transportation from the dive shop and back, national park bracelets, snacks/beverages. SHOULD WE MOVE THE MUSA SNORKEL TO SNORKEL SPECIALTIES??? ?TO HIGHLIGHT IT OR DOES THAT TAKE AWAY FROM THE SHINE ON THE SPECIALTY DIVE VERSION?? ?